Description: Book is lightly worn at head and tail of spine; faint age toning along board edges; small spot on fore edge of text block; dirt smudge on pg 64; no other marks; binding is sound. 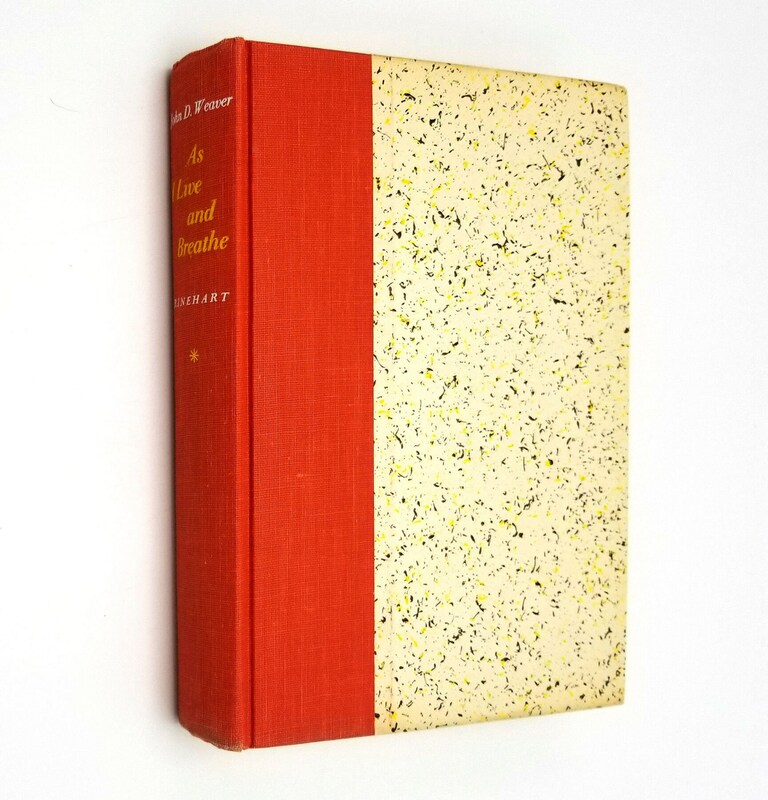 Dust jacket has tiny chips and closed tears along upper and lower edges with slightly larger chips at head and tail of spine; a little general rubbing and light soiling to surfaces; not price clipped. DJ has been placed in an archival mylar sleeve. 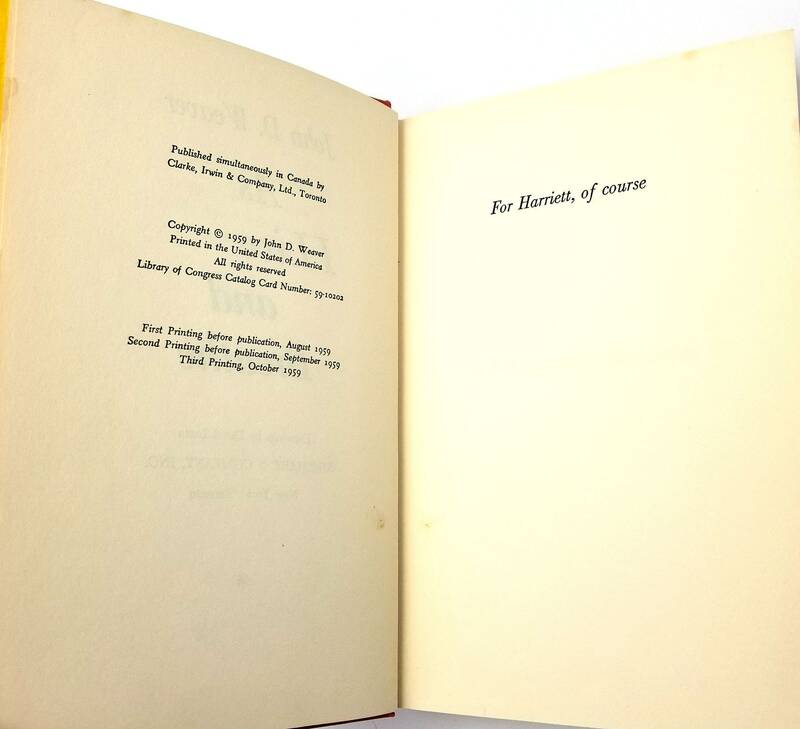 Third printing, October, 1959. 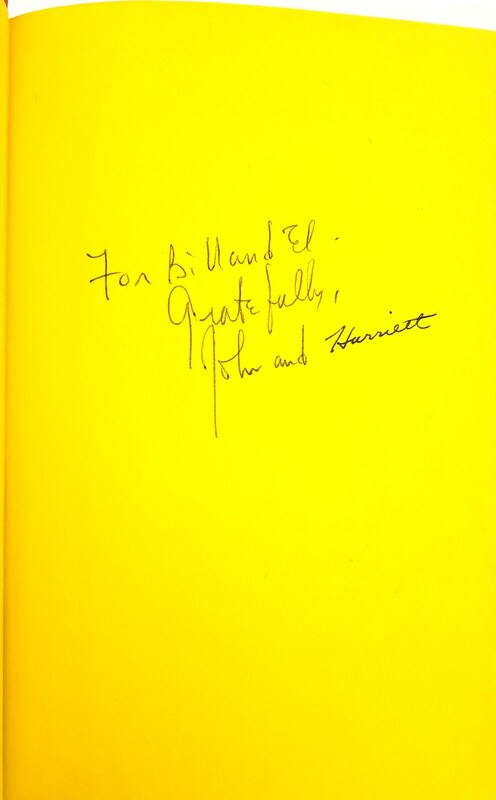 Inscribed and signed by both John (1912–2002) and Harriett Weaver (1913-1988) on the ffep (there is a picture of the couple on the back panel of the dust jacket). Drawings by David Lunn. 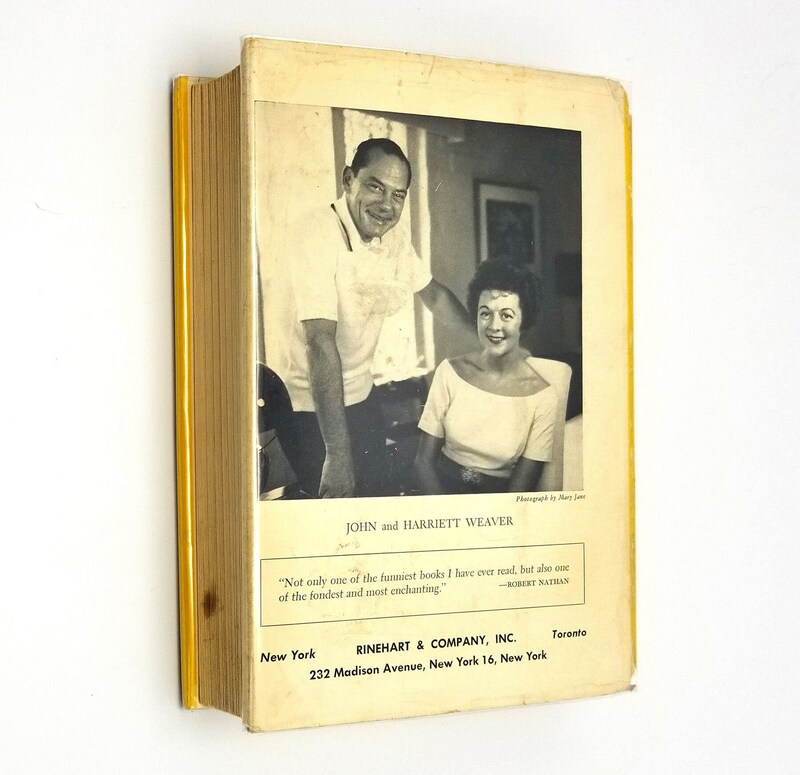 A "happy and often hilarious" book about John's wife Harriett and their marriage, with one entertaining anecdote following another. His reflections tell of "the melding of their discrepant backgrounds—the prudent homemaker and the impractical if not improvident writer." "He has come to appreciate, he admits, the strong firm hand of a patio-paving, cabinet-building wife, who can replace a fuse when called upon." – The San Francisco Chronicle. 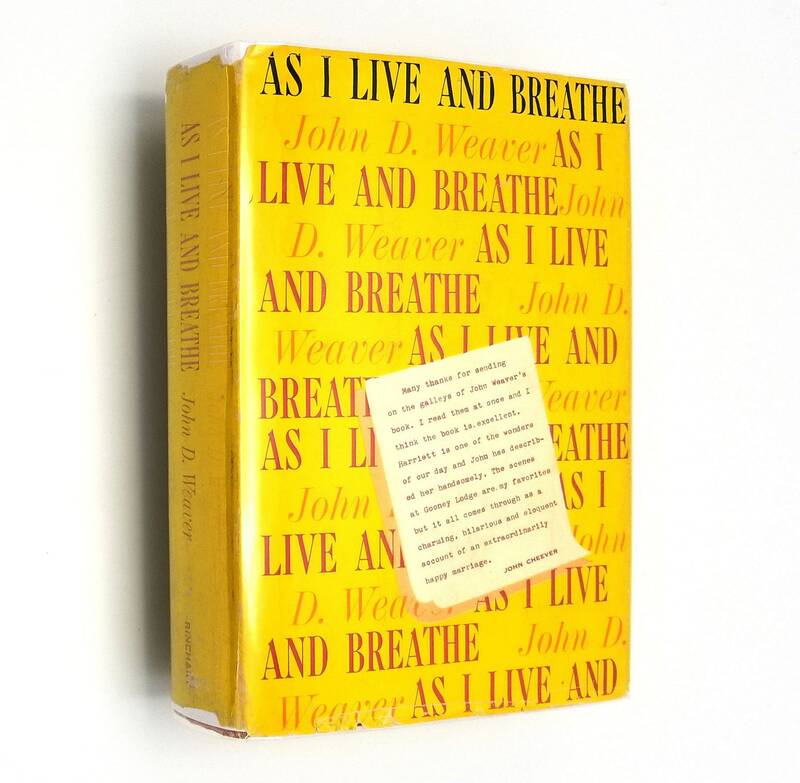 John Weaver was a popular writer. His story "Christmas Gift" was made into the 1949 movie Holiday Affair (starring Robert Mitchum, Janet Leigh) and the 1951 movie Dreamboat (starring Clifton Webb, Ginger Rogers) was based on a serial story he had written for Collier's magazine.